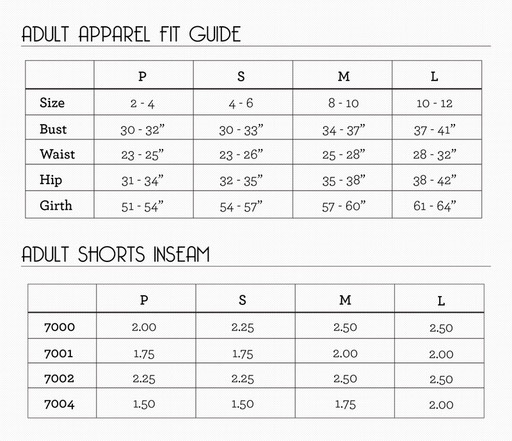 Size Charts - Dance Gear Etc. Due to the nature of shoe design and purpose, many shoes should fit comfortably snug, sock-like, much like a pair of socks. As most of shoes are made of soft leather or soft canvas we recommend ordering them to your true size or ½ size smaller to your regular shoe size. Remember, the thinner leather and canvas naturally gives over time so with wear, your shoes will stretch around your pressure points different than your street shoes making them feel a little bit bigger and wider. We all like our dance shoes to fit a certain way and so it differs from person to person. Some prefer them fitted or snug whilst others prefer a more generous fit. In respect of all our products these statements and charts are for a guideline only.